Osborne House is a former royal residence in East Cowes, Isle of Wight, United Kingdom. The house was built between 1845 and 1851 for Queen Victoria and Prince Albert as a summer home and rural retreat. Prince Albert designed the house himself in the style of an Italian Renaissance palazzo. The builder was Thomas Cubitt, the London architect and builder whose company built the main façade of Buckingham Palace for the royal couple in 1847. An earlier smaller house on the site was demolished to make way for a new and far larger house, though the original entrance portico survives as the main gateway to the walled garden. Queen Victoria died at Osborne House in January 1901. Following her death, the house became surplus to royal requirements and was given to the state, with a few rooms being retained as a private museum to Queen Victoria. From 1903 until 1921 it was used as a junior officer training college for the Royal Navy, known as the Royal Naval College, Osborne. In 1998 training were consolidated at the Britannia Royal Naval College, now at Dartmouth. 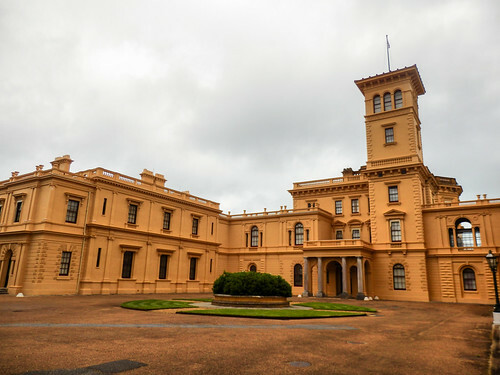 Osborne House is open to the public for tours.